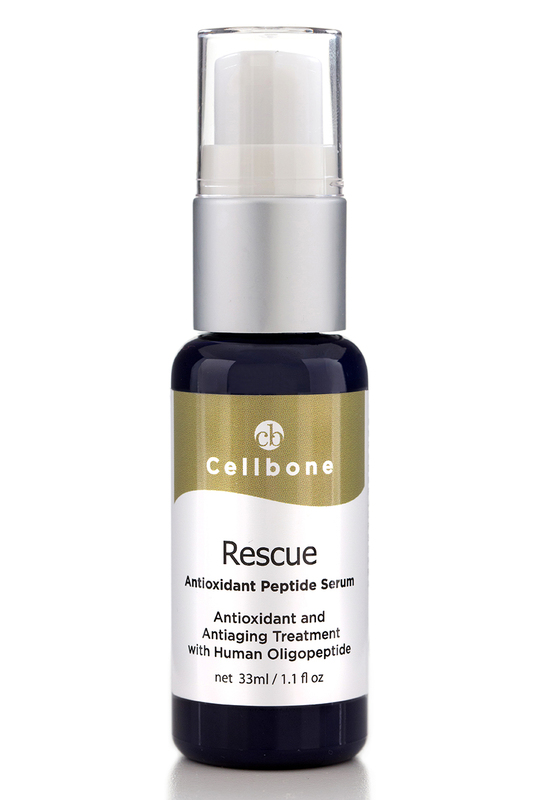 Rescue is a non-comedogenic and hypoallergenic line spot treatment serum containing Human growth factor (INCI: Human Oligopeptide-3) mimicking peptide derived from yeast. Cell renewal and skin defense system slow down as our growth factors, which is the key modulators of skin cell metabolism, decrease with aging process. Growth Factor is a protein that bind to their own receptors on the cell surface, with the primary result of activating cellular proliferation and/or differentiation. When growth factors are put into the aged skin, those factors reduce and prevent lines and wrinkles by actively generating new skin cells, involved in normal skin growth by healing and repair wounds, strengthen skin elasticity by inducing the synthesis of collagen and elastin. Rescue is suitable for all skin types, especially excellent for oily and acne prone skin. Co-enzyme CoQ10 (Ubiquinone) in the serum helps protect the skin against the damage caused by free radicals in the environment. Retinol penetrates deep into the skin and stimulates collagen production. SYN® -TACKS (Tripeptide and Terapeptide) helps reduce the degree of existing facial wrinkles and has been demonstrated effective against their development. 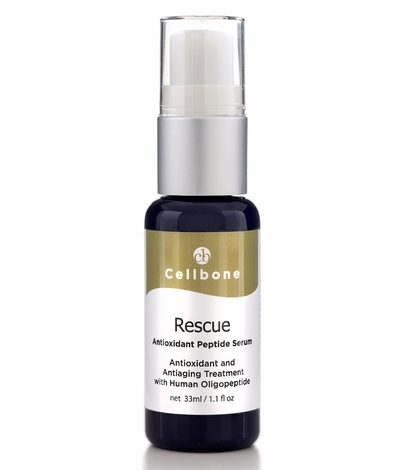 Rescue increases collagen and elastin levels and reduce blotchiness. It promotes firmer, healthier and youthful skin. Apply once or twice daily on a clean, dry skin. Follow with Cellbone Moist'Seal Gel or moisturizer of your choice.